I consider this a discovery, at least for myself, for today. Why a discovery? Well, I have heard this song a million times, as I’m sure many of you have. The discovery lies in who sings this. 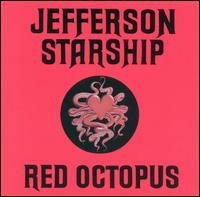 This song is from Jefferson Starship’s 1975 album Red Octopus. That’s right, Jefferson Starship. I had no idea until about an hour ago. See what I mean about learning something new daily? Surely you have a song that you love but have no idea who sings it. If so, look it up, DISCOVER. By the way, if any of you want to know how to rip music for free from Youtube, pay attention. First, make sure you have iTunes installed on your computer. Next, find a video of a song you like. Then copy the “share” link. Now go to this website>>> YouTube to mp3 Converter <<< …and paste the link in the box. Then click “convert.” Then you will see an option to “download” after you convert. Click “download.” The song will download directly to your iTunes FOR FREE. That’s right, all absolutely free. It’s not the fastest method since you have to go song by song, but it only takes about 1 minute for every song you get. Don’t complain, it’s FREE. After the song downloads to your iTunes, you will need to change the info to keep it in order in your library. That part is optional, but highly recommended. You now have the some tools you can use to go out there and improve your music collection. Have fun. And if you already have this knowledge, share. Music should be free. Take it while you can. Don’t forget to bookmark the website. Wide eyes open. Love to all.